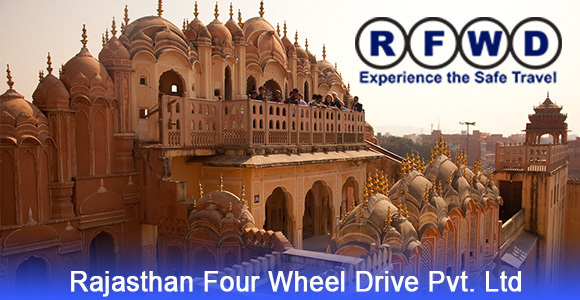 Rajasthan Four Wheel Drive Pvt. Ltd. is one of the prime companies in the Travel\Leisure province of North India accredited by the Association of Domestic Tour Operators of India (ADTOI). Serving tourists from all parts across the globe since 2003, we believe in being your friend for a guide, protector from troubles and a servant for your needs. With various packages to choose from and availability of the option of car rental as per your need and budget, we leave no page unturned to make your trip a memory of a Lifetime. We believe in forging unbreakable bonds with our customers so that they remember us and the time they had spent with us and it has been proved over the decade how successful we have been in attaining our goals. Achieving the Certificate of excellence continuously for the fourth time in a row from India's largest trip certification company "Tripadvisor", we have also attained a token of appreciation for our unhindered and meticulous services.